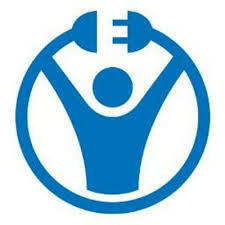 Are you someone who thinks a lot about your strengths, or about your weaknesses? It's great to be aware of what you need to learn, but it's also important to notice and celebrate your strengths. Too much of a focus on your weaknesses is called deficit-based thinking, and it's an easy mode to get into, especially if you are spending time in an institution that wasn't designed with you in mind. 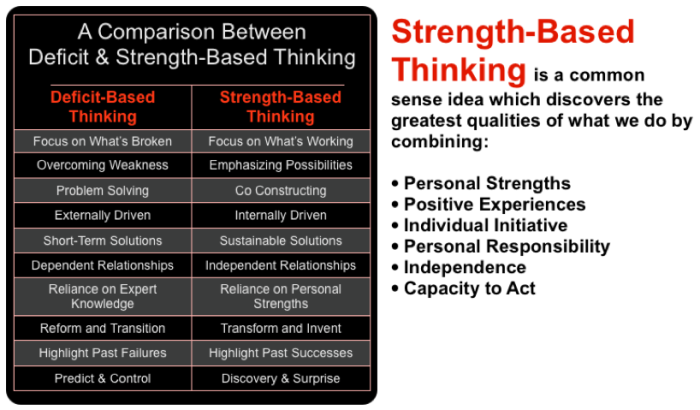 Learn more about deficit vs. strength-based thinking below, then try the activity here to notice and celebrate your strengths. Byron P. White is now the Vice President for University Engagement and Chief Diversity Officer at Cleveland State University. He says that growing up low-income, black, and the first in his family to go to college made him understand that "minority, low-income and first-generation students" are often treated as "deficient," but that it is becoming increasingly clear that they are actually the best "candidates for what a 21st-century college student needs to be." "In an increasingly diverse, urbanized world, many of these students have firsthand knowledge of the challenges faced by the majority of people. Many have succeeded through challenging economic and social conditions with a measure of grit and tenacity that is beneficial in a highly competitive, fast-paced society. Often, driven by their own experiences, they bring a keen sensitivity and insight to issues of equity and justice, which are sorely needed at a time when seemingly intractable disparities within society are straining social and economic structures. Whether Professor White's description sounds like you or not, begin to focus on your strengths by doing the activity here.